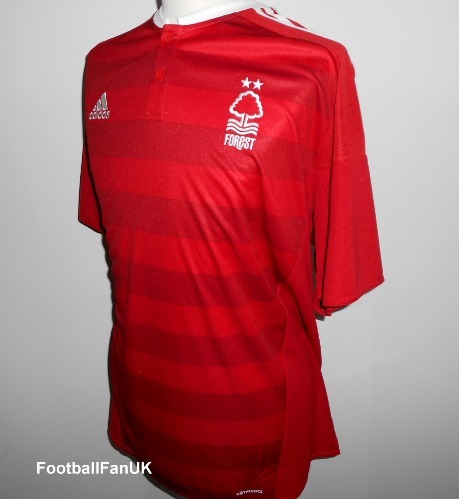 Official Adidas red home shirt for Nottingham Forest FC for the 2016/17 season. New with tags. No sponsors logo. - Red hoops with white trim. - Adidas product code AP8625. - Adult men's size XXL. Chest 53", length 32".